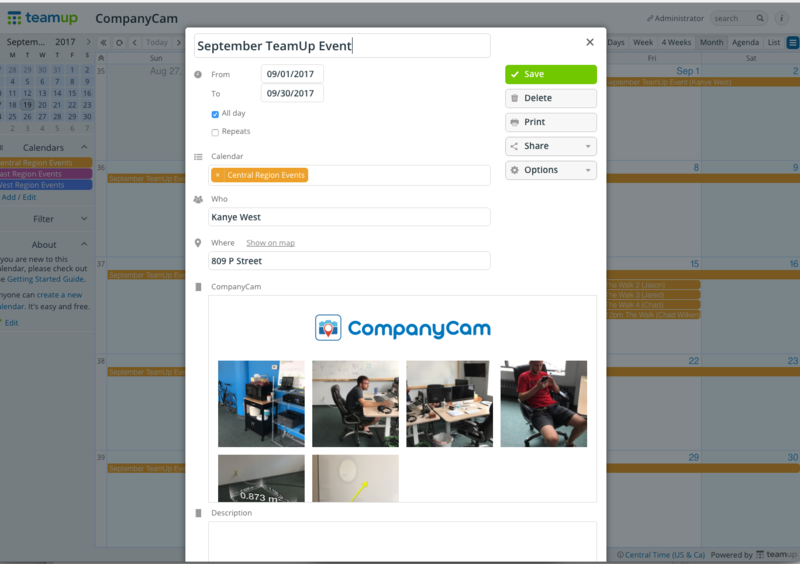 Complete this one-time setup, and your Teamup Calendar will sync with CompanyCam automatically! 1. Set up the Integration (using video above). *Note* We will only need 'modify' permission and not admin status. 2. Create events as usual in your Teamup Calendar. icon and then tap 'Teamup' (this will display all Teamup events for the current day). 4. Tap the correct Teamup Event & automatically a CompanyCam project will be created. 5. Take photos at this CompanyCam Project— photos will sync back in to the connected event in Teamup! CompanyCam + Teamup will sync together every 15 minutes.